No really, I can’t decide. Let’s take a look at some inspiration and then I’ll give you my thoughts… k? This image is really close to what we are doing in our kitchen. 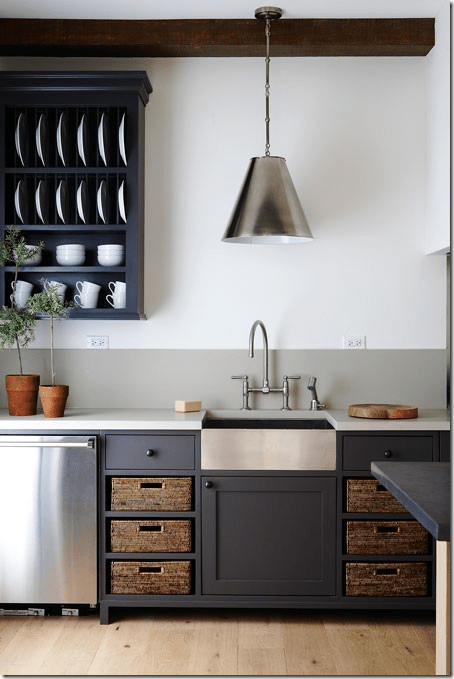 The darker cabinets, lighter floors, light walls, open shelving and tile are all spot on. The thing that makes our kitchen different is that we went for a more refined style with the brass pulls, lighting and sconces. This kitchen is a more of a rustic style. 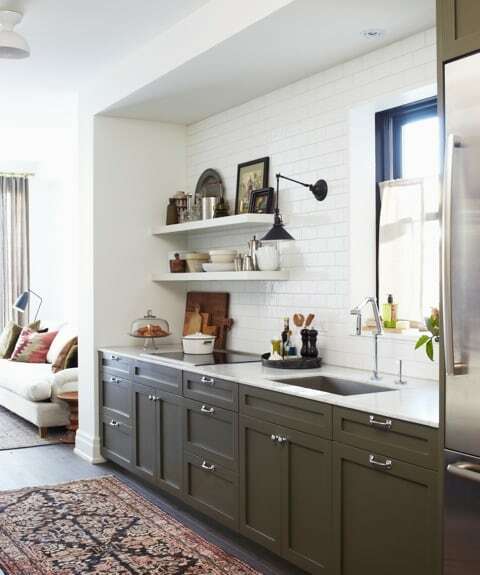 The farmhouse sink looks perfect in this kitchen and ties everything together, but I’m not sure it would look perfect in our more refined space. Let’s look at another, shall we? In this kitchen, the sink is an under-mount stainless sink. It’s paired with brass accents and it looks great. It would be a bit different at my house, because we need an over-mount sink. But, I do think the brass and the stainless look good together. Let’s peek at another stainless sink. How pretty is that farmhouse sink? On the downside, it’s an under-mount apron sink and we, of course, need an over-mount sink. 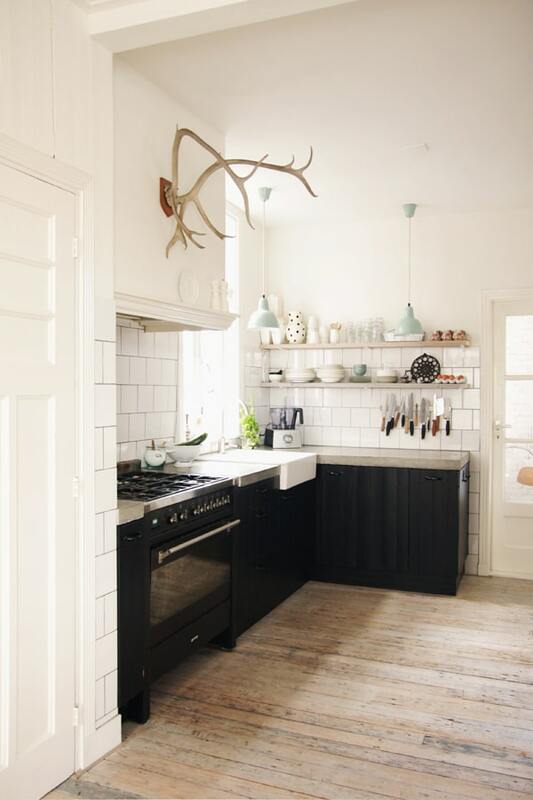 But, I adore how it looks in that space and with those cabinets (which are very similar to ours!). Then, we have an image that makes my heart go pitter-patter. Love everything about this image but there’s no brass! I really wish the pulls were brass just so I could see the whole room and how the stainless paired with the brass. So, yep, I’m still undecided. What would you go for? Apron front or regular? Stainless or white?